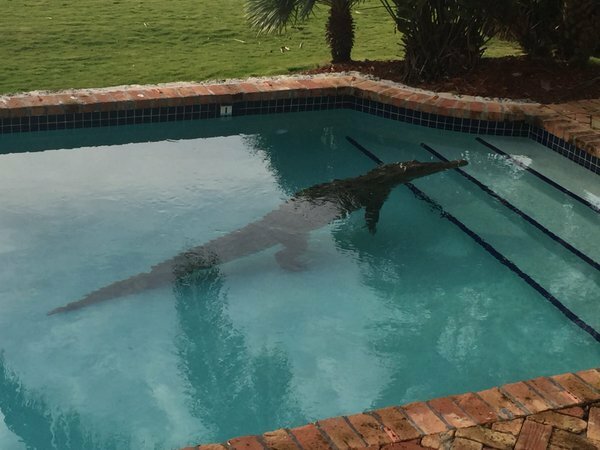 An 8-foot crocodile greeted a Pennsylvania man who had only been in his multimillion-dollar home in the Florida Keys for less than a week. It seemed the neighbor was making himself at home in the new swimming pool. Florida wildlife officials, along with sheriff’s deputies from the Monroe County Police Department, were called to the house in Islamarada, Florida but their efforts were minimal once the reptile decided to hop out and retreat back on its own volition. This comes after a shark was found in the pool of a condo complex in South Florida earlier this month. In most states, new neighbors are greeted with baked good and a kind note. In Florida, it’s more of a menagerie of violent oceanic creatures.